Economic and recreational development have wreaked havoc on plants and animals. Pollution is a huge threat to our shorelines and our rivers. It comes from spills from Laval factories, but also from neighbouring cities. The current carries everything, not just fish and boats. 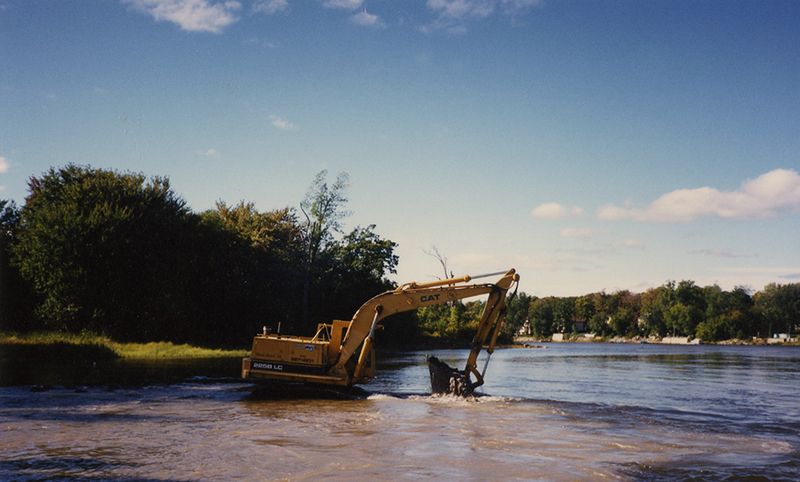 In the 1970s, Laval residents began to ask questions about the state of health of their rivers. The Association pour l’aménagement de la rivière des Prairies was founded in 1977. It came about from the battles that raised the awareness of many residents. The Association worked for better control over how the shoreline was used. We have many goals: we support other organizations to fight pollution, promote ecology and reduce the risk of flooding. However, our immediate objectives are to develop pleasure boating and encourage Ontario and American tourists to sail down the Des Prairies River to the St. Lawrence downstream of the Seaway and the whole length of the Richelieu. In 1996, the Conseil régional de l’environnement de Laval was formed. This organization became the main defender of the environment and sustainable development. Thanks to such organizations, there are more than 100 km of private and public shoreline and a number of wetlands that are protected under the provincial Environment Quality Act. Still today, projects such as TransCanada Pipeline’s proposed Energy East oil pipeline threaten these protected environments. The fight is far from over.